A third of the way through this NBA preview series we have already covered the worst of the worst and the young teams trending in the right direction. Today let’s take a look at those teams who have one player or identifying trait that by him/itself is worth the watch. Some of these teams are really good, and some less so, but that doesn’t make any of them more or less entertaining to watch. So stay tuned and let’s run down those five teams who have that one headlining circus act that makes them worth watching on any given night. Los Angeles may want us to retire the “Lob City” thing, but let’s face it that’s not going to happen. 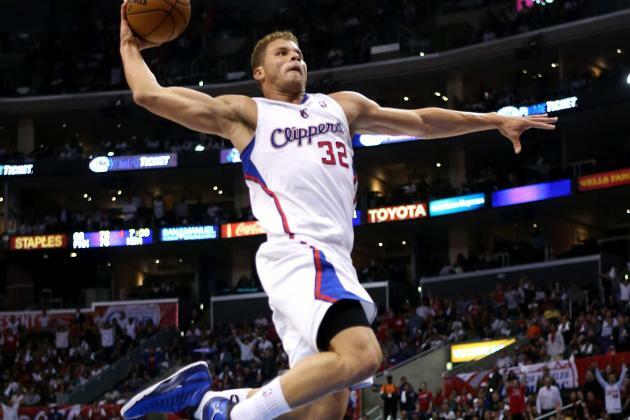 Blake Griffin and DeAndre Jordan are two of the most entertaining, above-the-rim artists in the game. Plus, they have the benefit of catching the ball from maybe the best passer in the game. That’s a recipe for tons of oops, and tons of entertaining oops too. The Clippers did do a great job of addressing needs this offseason and acquiring some depth, especially on the wing. Lance Stephenson was a good low-risk gamble, and Paul Pierce’s experience and leadership alone would be a bonus. Pablo Prigioni and Josh Smith are good depth additions as well. Unfortunately, the Clips won’t be doing anything “in-style” this season considering that they just unveiled the ugliest set of uniforms in the league. It was a really rough offseason in Portland, as the team lost three of its four best players in Wes Matthews, Nic Batum and LaMarcus Aldridge. Aldridge had been the face of this franchise for a long time, and he should be commended for bearing that mantel so graciously for a good organization that got very little publicity and never made it very far in the playoffs. He did pass the torch on to Damian Lillard before he left though, and Lillard should be in position to have a monster season in “Rip City”. Since coming into the NBA in 2012, Lillard has been awarded Rookie of the Year award and been to two All-Star games. That was with Aldridge, Batum and Matthews on the roster. In his three-year career, Lillard is averaging around 20 points and six assists per game, and it’s reasonable to believe that the scoring numbers will go up this season. One trend that needs to be corrected is his three-point percentage. Dame’s percentage from deep dipped from 39.4% to 34.3% last season. If that continues to dip or levels out, then defenders will begin sagging off of him and trying to limit his explosiveness in getting to the rim, which in turn diminishes his scoring all around. All in all though, Lillard should have a huge year, and in a season that may see the Blazers struggle more than they have in awhile it could be a bright spot in a dark winter. Much like the Blazers, Dallas had a pretty rough offseason. Chandler Parsons is coming off of a fairly serious surgery. Rajon Rondo finally left town, but the stench of his stint in Dallas lingers on as tribute. DeAndre Jordan almost came to be the next superstar for the Mavs, but then ended up making Texas the epicenter of one of the most bizarre offseason storylines in recent memory before jilting Mark Cuban to return to the Clippers. The one constant in this whole process has been Dirk. Dirk Nowitzki is already going to go down as an NBA champion, the best shooting seven-footer in NBA history and a top-25 or so player. He has nothing left to prove, but the show he keeps putting on on the offensive end is still fun to watch. The fadeaway will go down as one of the more recognizable and lethal signature shots ever. 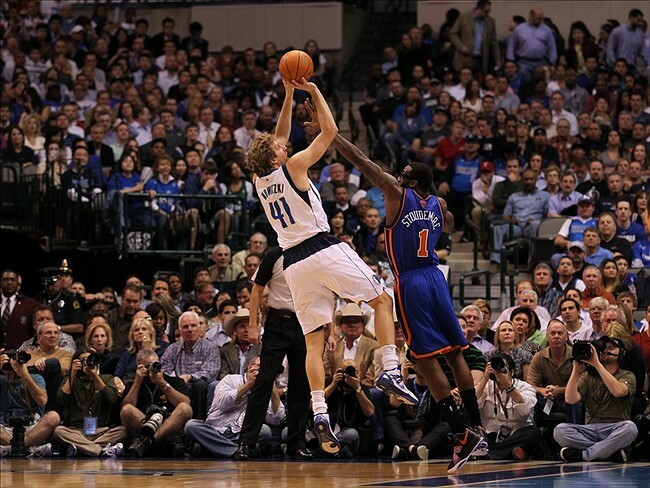 Anyone who has shot a basketball in the last decade or so has attempted the “Dirk leg-kick, fadeaway”. As long as Dirk is still in the NBA, please keep watching the beauty of that shot, and savor it now because its days are numbered. Andrew Wiggins was a runaway choice for Rookie of the Year last season and has the ability and opportunity to be one of the best wingmen in the game. He is a solid defender, averaged just south of 17 points per game and basically functioned as the leader of the team after injuries decimated the team last season. Minnesota may have had the worst record, and thus won the Karl-Anthony Towns sweepstakes, but the roster was not as bad as the record indicates. Towns and Wiggins could potentially be one of the most exciting young duos in basketball. On a more somber note, everyone needs to keep Flip Saunders and his family in their thoughts. Saunders was diagnosed with Hodgkin’s Lymphoma in August, and while this diagnosis isn’t the worst-case scenario, this is still a serious illness and there is a good chance he will be away from the team for most or all of the season. Hopefully this will spur the team to play hard and play well for their head coach and general manager, rather than hang over them like a cloud. Get well soon Flip, we are all thinking about you. Anthony Davis is an absolute monster and his ascendance into the ranks of the basketball elite is worth watching on a nightly basis. Davis can score from anywhere inside the three-point arc, rebounds as well as anyone in the league, has the wingspan of an albatross, is agile and nimble enough to hang with guards on switches when necessary, and is one of the most able ball handlers among NBA big men. Anybody want to find the holes in this guys game? It’s ok I’ll wait. 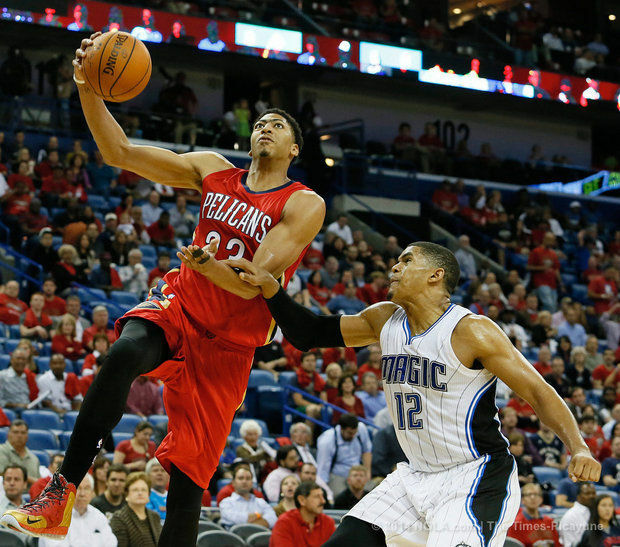 Honestly, trying to nitpick Davis’ game might be part of the fun of watching the Pelicans play this season. It’s only a matter of time before “The Brow” picks up his first MVP award. The Pellies also put a pretty interesting lineup around Davis, and should make the playoffs in the Western Conference. If they can snag the five or six seed, then they will be a very dangerous team to play when the playoffs roll around. Jrue Holiday is a solid point guard, when healthy, and Norris Cole is a more-than-serviceable backup with legitimate playoff experience. Eric Gordon, another oft-injured player, is one of the best pure shooters in the league and Tyreke Evans adds a unique skillset to the roster. Evans is big enough to play the three and a good enough ball-handler to play the one. Ryan Anderson also adds some versatility to this roster as a stretch four who can both play alongside Davis, or give the team valuable minutes when he needs a rest.